I haven't seen much Universal Geneve discussions. But here are some pics of my Universal Geneve watches. 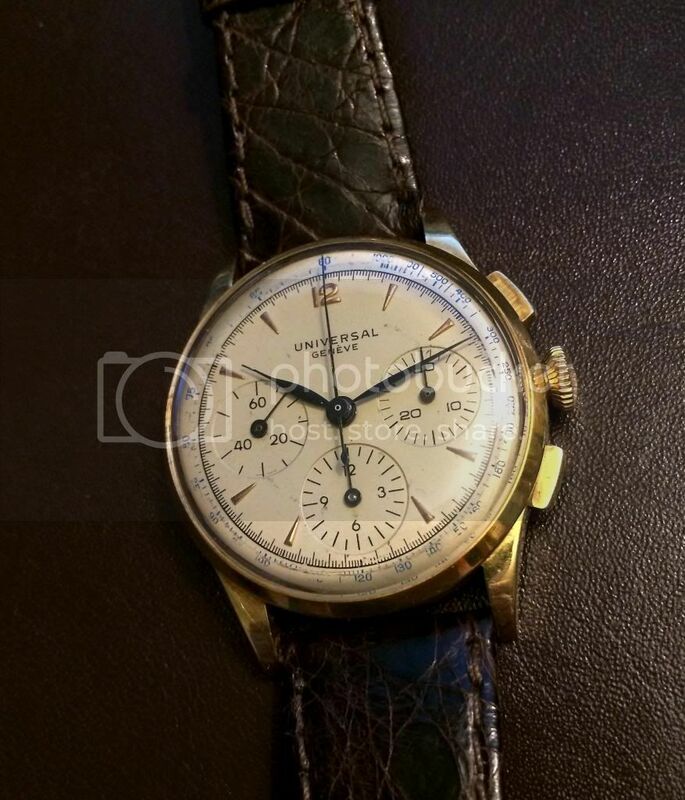 Universal Geneve Tri-Compax, c. 1945-50. Universal Geneve Aero-Compax, c. 1941. 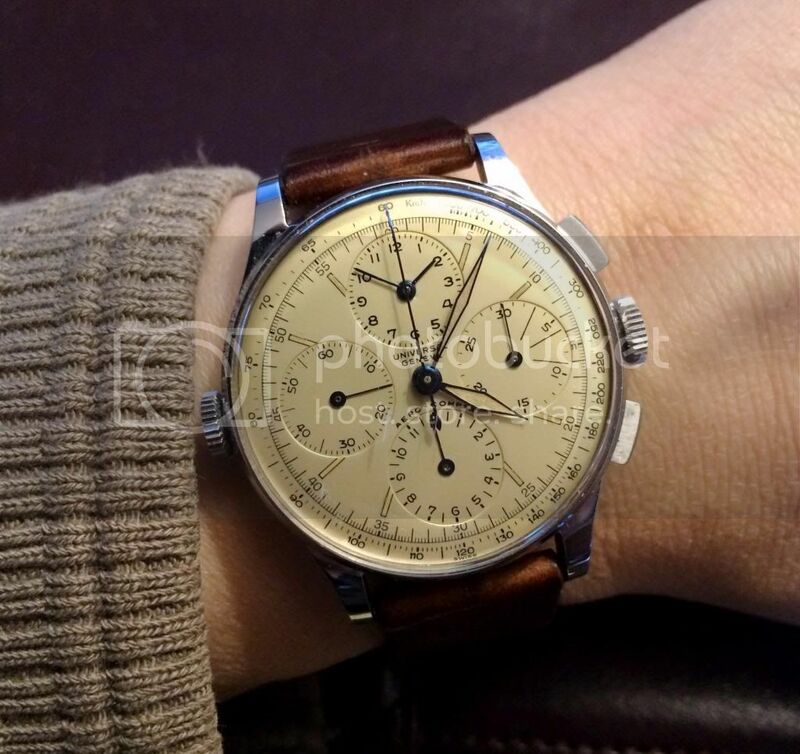 Universal Geneve Chronograph, c. 1950. •A. 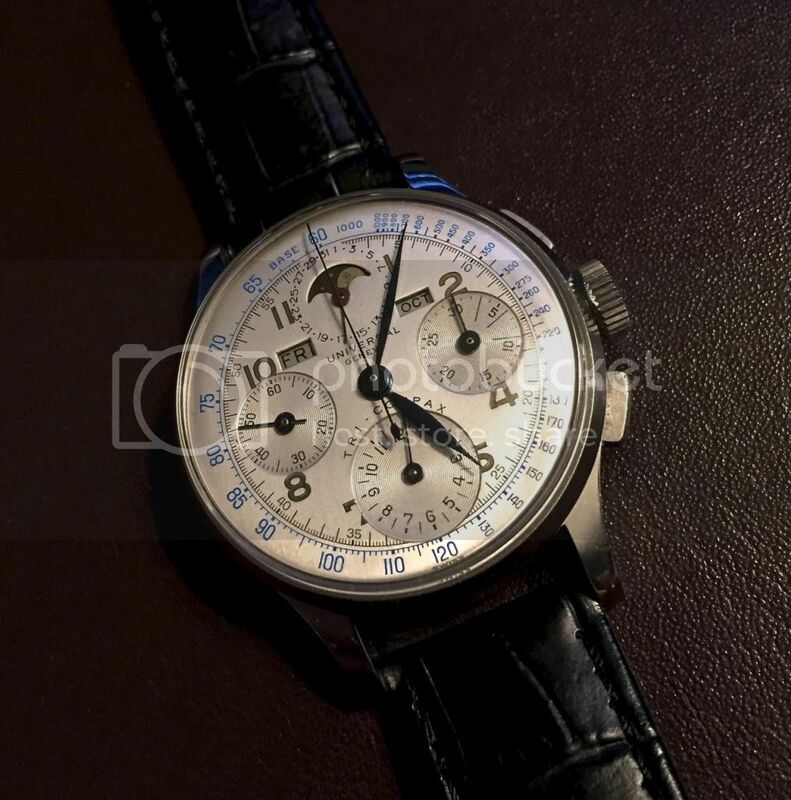 Lange & Sohne, •Jaeger-LeCoultre, •IWC, •Rolex, *Panerai, •Heuer •Breitling, •Omega, •Hamiltion, •Tudor, •Ebel, •Laco, •Universal Geneve, •Angelus.